Celebrate the Holidays & Give Back to the Homeless! 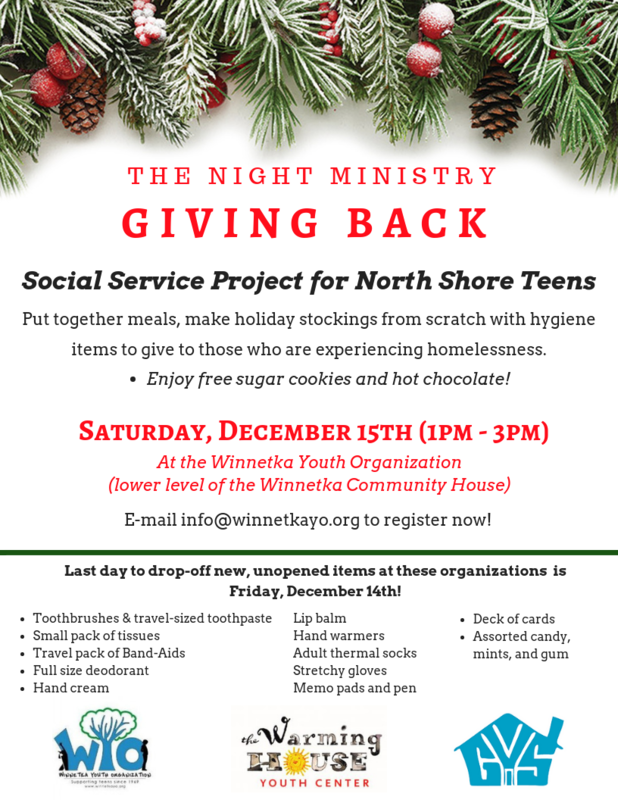 We will be stuffing some stockings with hygiene items and winter gear for the homeless, while enjoying holiday treats! It’s the season of giving! Open to 7th-12th graders, regardless of residency. RSVP: Please email contact us at 847-446-0443 or email maryk@winnetkayo.org!